Photography has been a hobby of mine for several years. During that time, some of my favorite subjects to photograph have been wildlife. When I first started photographing wildlife, I would often go out to prairies and wetlands and hope that I would stumble across something interesting to photograph. I have learned that this is often not the best way to photograph wildlife. Occasionally I would get lucky enough and get a decent shot. Most of the time the wildlife would flee before I even saw them. 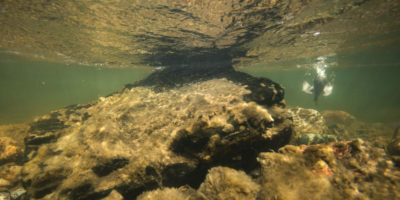 Aside from the frustration of rarely being able to get close enough to get a good photo, this method can also cause stress to the wildlife you are trying to photograph. 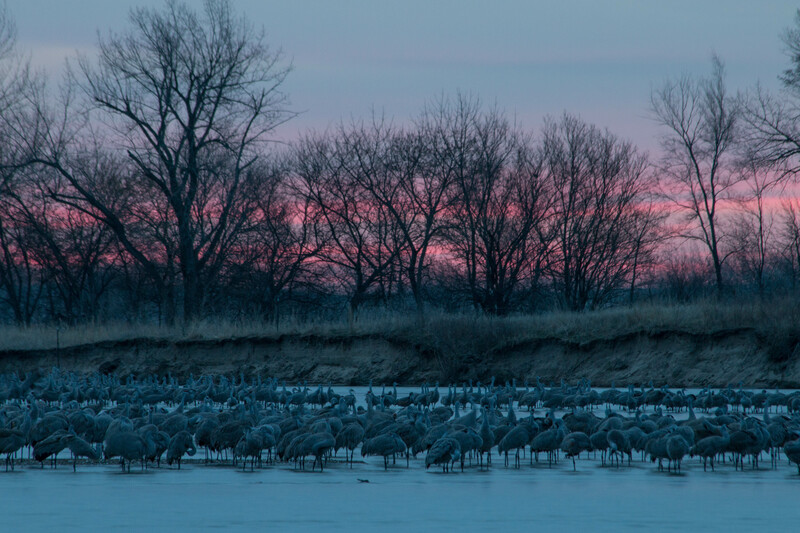 Earlier this year I had the opportunity to go with PBT cofounder Michael Forsberg to the Central Platte to scout out locations for blinds to use for photographing cranes. This inspired me to build my own blind using garden fence, woven grass mats, and zip-ties. The following weekend I set up the blind on the banks of the Platte River. The first evening that I spent in the blind was one of the most captivating experiences of my life. 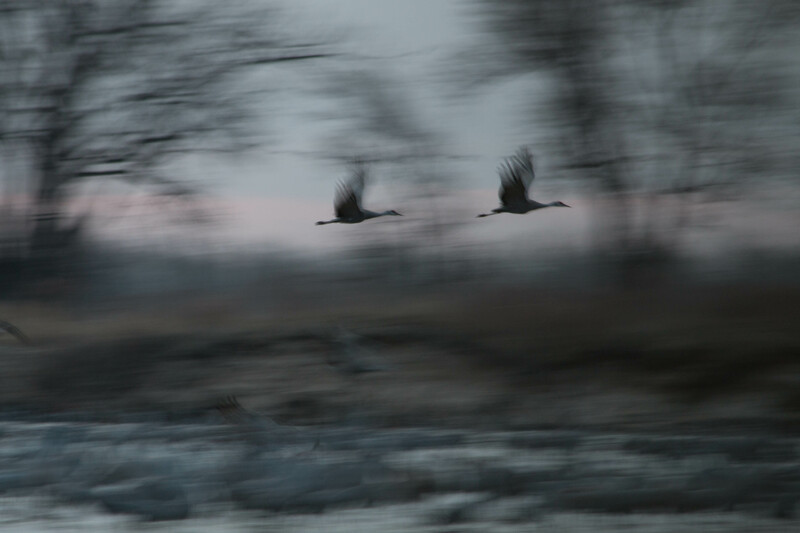 I have watched the cranes come in to roost on the river several times before this night, but this experience was much different. I watched as crane after crane parachuted down from the sky to roost on the river. The cranes were so close that I could hear the beats of their wings and their soft whistles as they flew overhead. The calls of the cranes were deafening as flock after flock of birds glided onto the river. After that night I was hooked. 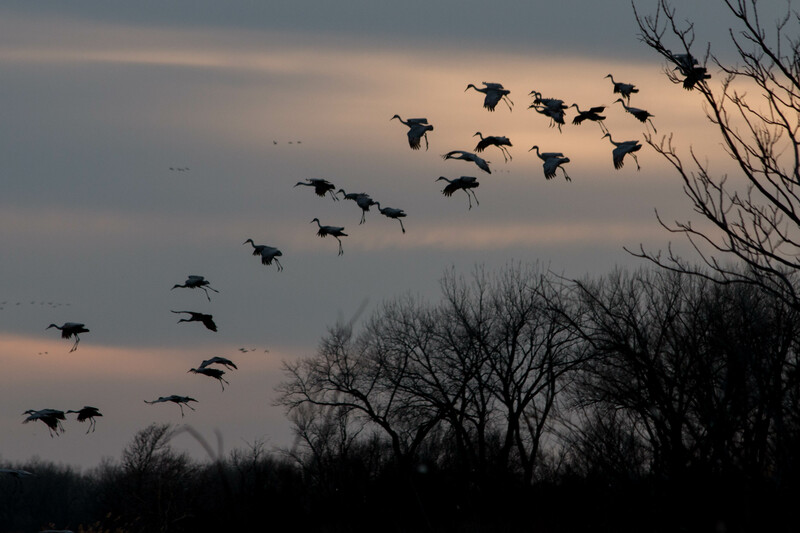 Every weekend for a month I drove out to my blind to photograph the cranes. 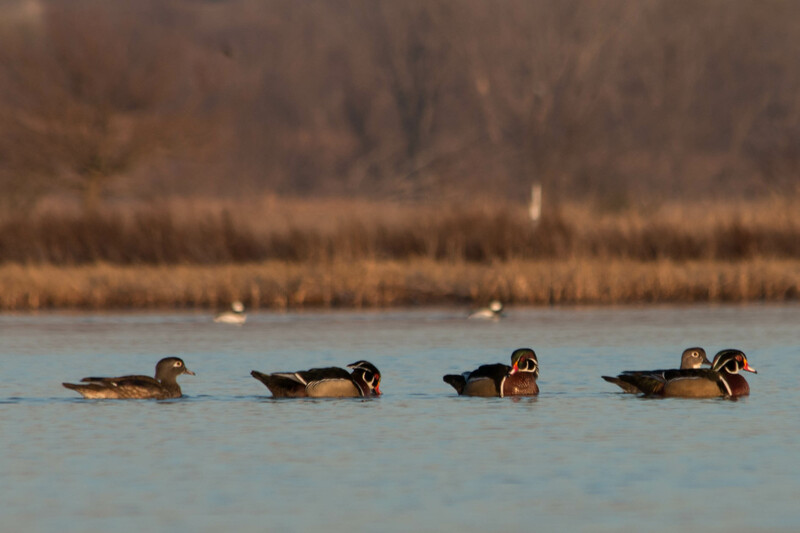 I also decided to set up several other blinds closer to Lincoln to photograph migratory waterfowl and shorebirds that were passing through the area. Photographing from blinds allows you to get much closer to your subjects and it allows you to observe behaviors that you would not normally see if the wildlife you are trying to photograph is aware of your presence. 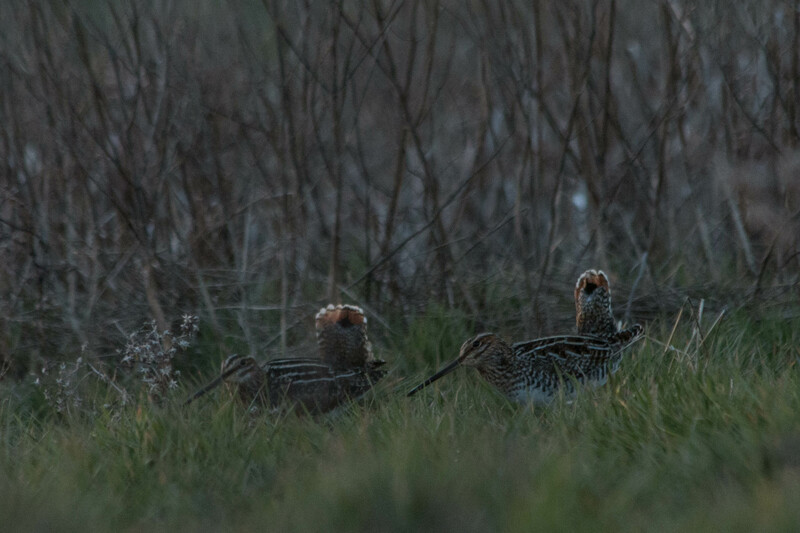 One evening while I was in a blind, several Wilson’s snipe gathered around me . I noticed that some of the snipe were raising their tails in what appeared to be some sort of breeding display. At times the snipe would get so close that I could hear the sound of them probing through the ground in search of their next meal. 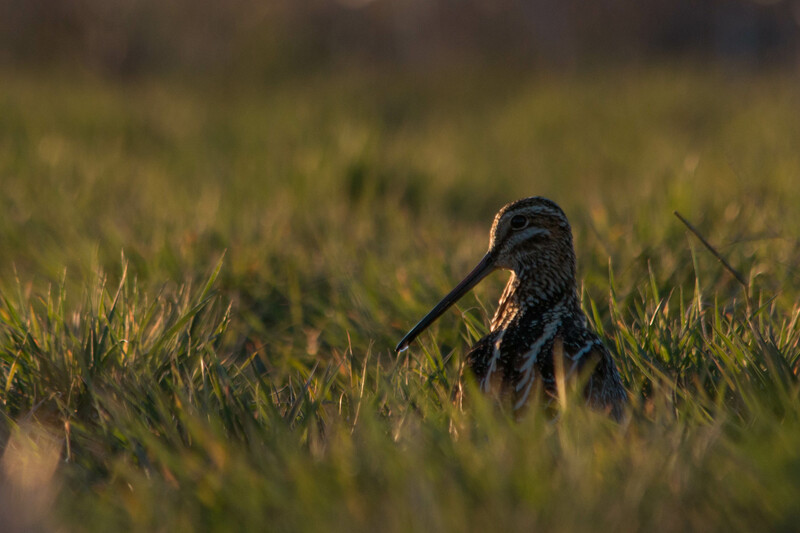 Snipe are normally secretive birds, so observing them this close without a blind would have been extremely unlikely. 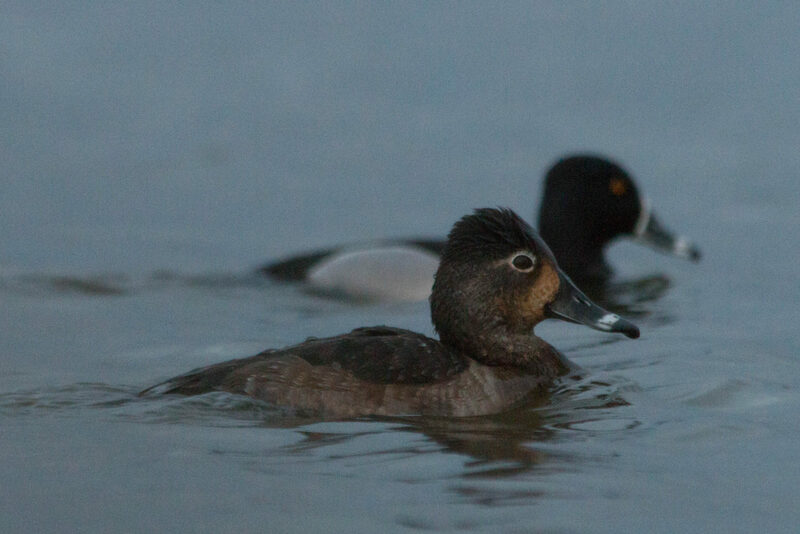 If you have never used a blind to photograph wildlife I highly recommend trying it out. Blinds can be made fairly easily using materials that you can purchase at your local hardware and sporting goods stores or you can purchase a hunting blind. Using a blind allows you to slow down and get in touch with your surroundings. The intimate glance into the lives of the wildlife I photograph makes the hours of sitting in the wet and cold well worth it.